If the title of this post sounds like a film by Peter Greenaway, let me explain. I don’t need much of a premise to make something sweet, but it has seemed like there’s a lot to celebrate this past month; between various birthdays, friends’ engagements, an exciting radical change in the political structure in Greece, etc. But this time of year is more bitter than sweet for me, and I suspect it always will be. So whilst I am celebrating so many good things in and around me at the moment, I have to admit a part of me is also inwardly eulogizing. There are times like today where this blog can feel like little more than an extended eulogy to my brother, but that’s not quite right either. It’s certainly a part of it, but it’s also borne out of a desire to create something new, and to push myself to explore new terrains both in the written and the ‘real’ world. But I can’t claim any originality for the two recipes I’m talking about today, beyond that I think they make a fabulous pairing together. They are each in their own right excellent and original creations by their authors. So without further ado, prepare your palates for two sweet treats perfect for the dead of winter (morbid pun not intended!). 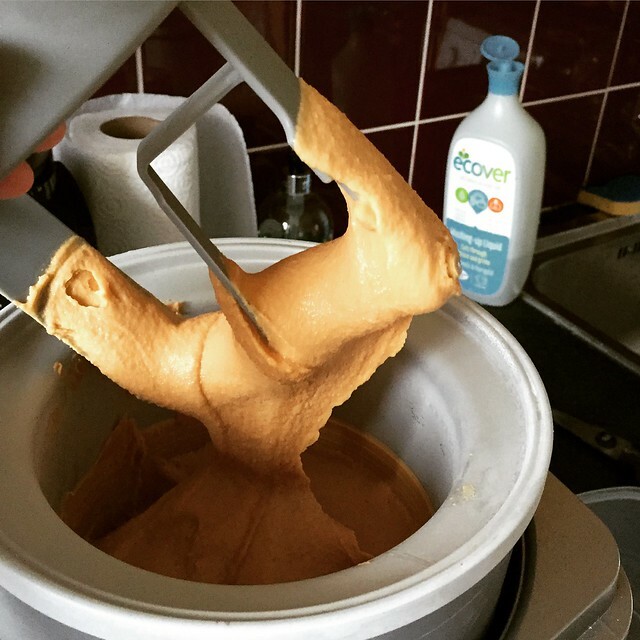 Making David Lebovitz’s salted butter caramel ice cream may well be the main reason we bought an ice cream maker to begin with, and remains a staunch favourite. I remember the first time I made it for my family, and they are all addicted. Each time I visit they beg me to make it. 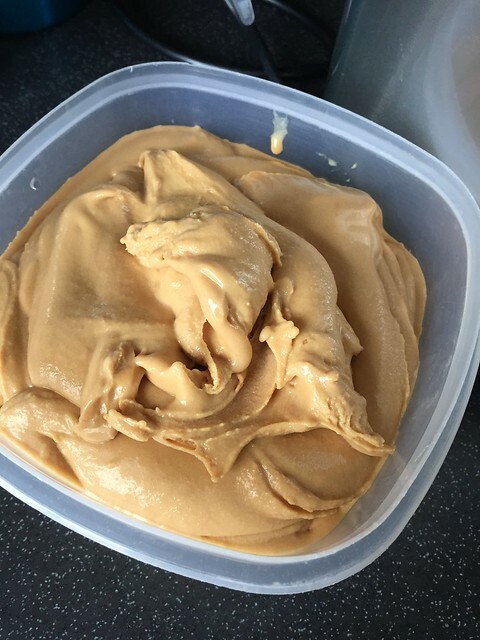 I think it’s the combination of the high sugar content and the addition of salt that mean it’s very hard to get the texture wrong- it never freezes too hard and is very satisfyingly scoopable. In fact the opposite is true: it melts very fast and so I always whisk it back to the freezer as soon as I’ve served it out, which must make me look very stingy (that’s only partially true- its abscence from the table does make it conveniently difficult to offer seconds…). I usually skip the crunchy caramel praline bits, but I think that’s probably like peanut butter preferences: some like crunchy, some prefer smooth. 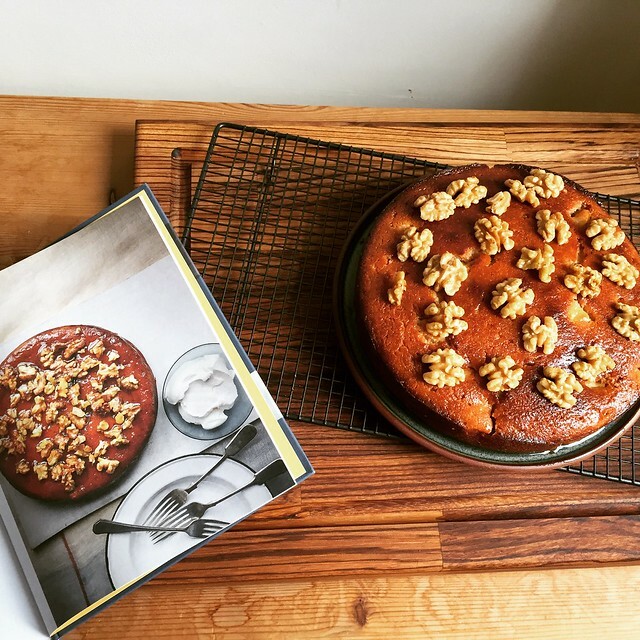 Maria Elia’s yoghurt, apple and walnut cake on the other hand, is not one I had made before. Like all good syrupy cakes, it’s actually better the next day. 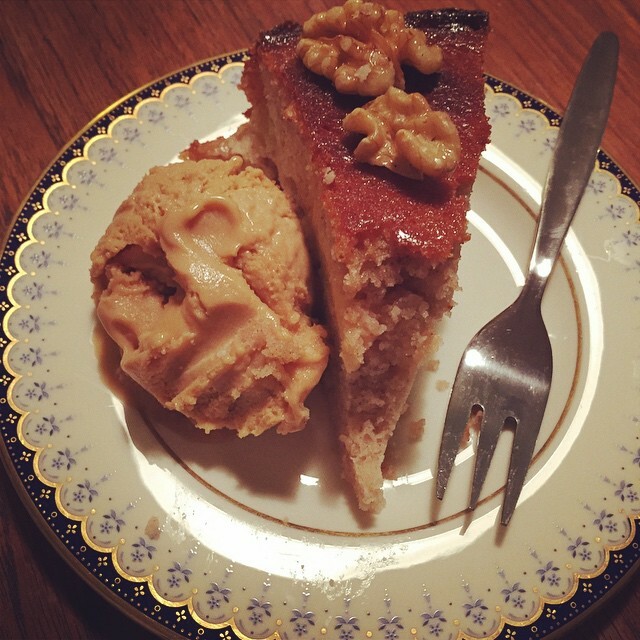 It’s also remarkably light considering the ingredients list- I was worried that I was pairing an extremely sweet ice cream with an extremely sweet syrupy cake, but with the saltiness of the former and the light texture of the latter, neither were. The cake had a maginifcent crust (can you say that about a cake? ), a rich crunchy brown which you felt was a shame to smother in syrup, but trust me it’s not. I made it in a 20cm cake tin as the recipe recommended, but I think next time I will make it in a larger, shallower dish, so it is more like a traditional Greek syrupy cake recipe (revani, for example). I think this cake also is a good vehicle for experimental flavours. I added a sprig of thyme to the syrup while it was simmering, but chickened out (worrying it would overpower) and cast it out before it left much of an impression. I think something a bit herbacious would work well with the apple and walnut flavours though. So whatever you’re celebrating, or grieving for, get in the kitchen and make something nice for yourself, because it’s bloody freezing out there. Or get someone else to do it for you.